You'll fall in love with this updated crystal clean three-bedroom two full bath home all on one level. Light & bright kitchen w/ breakfast bar, living & dining area w/ vaulted ceilings, skylights & many windows gives a open & airy feeling throughout. Spacious family room w/gas fireplace. Finished two-car garage w/ built-in cabinets & workbenches. 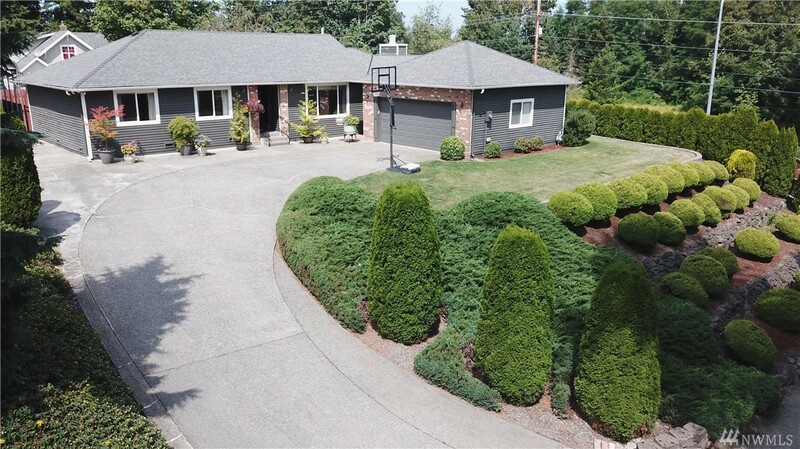 RV parking, storage building & groomed mature landscaping & fenced yard. Pride of ownership is evident inside as well as outside. Come see!